For a truly wonderful indulgence, try this the next time you have company. It's great when you crave cheese. We are partial to mushrooms, and big, glorious portobellos can stand up to baking. Buy large, flat mushrooms. Preheat the oven to 375°F. Spray a shallow baking pan with olive oil cooking spray. Arrange the mushrooms, gill sides up, in the pan and bake for about 15 minutes. Turn the mushrooms over and cook for 15 to 20 minutes longer or until soft. Remove from the oven and turn the mushrooms over so that gill sides face up again. Lay the tomato slices on top of the mushrooms. Bake for 10 to 12 minutes or until the tomatoes soften. Sprinkle the mushrooms and tomatoes with basil and pepper and top with shredded cheese. Bake for 3 to 5 minutes longer or until the cheese melts. Serve right away. 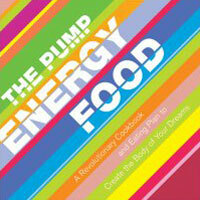 Recipe courtesy of The Pump Energy Food by Steve Kapelonis and Elena Kapelonis. Copyright © 2005 Steve Kapelonis and Elena Kapelonis. All Rights Reserved. Published by Hyperion. Available wherever books are sold. Nutrition Note: Nutrition calculation based on low-fat mozzarella.